Here is my progress picture showing 22 sections completed… And our family dog Charlie,,, Always trying to get in the action!! I think he would crochet if he could!!! This is it,,, We will be doing 2 more sections to make it 24 color sections and then the final rows as described in the pattern by A Creative Being… Click here to get the instructions!! When you are done… Make sure to email me your picture to [email protected]!! It has been fun seeing this great afghan in different color versions!!! Next week I will post a final picture of mine and any others that have decided to share!! Stay tuned tomorrow to begin our voting for Winter 2015 Crochet With Me CAL… I will be posting 7 different pictures and afghans to choose from… So don’t miss out!! 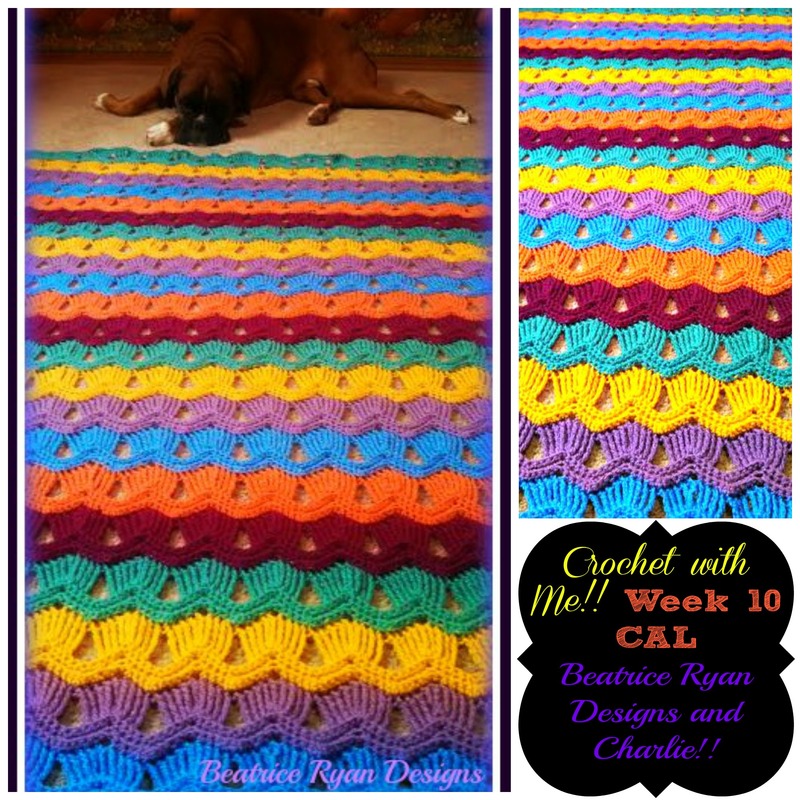 Crochet with Me Winter CAL…. Cast Your Vote! !